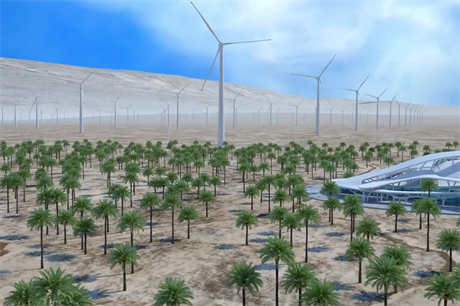 The future of a 900MW wind project with the sole purpose of producing energy to power data- and cryptocurrency-mining centres in southern Morocco is in doubt due to a legal battle between the two main partners. The increasingly acrimonious dispute sees Omar Belmamoun and Michael Toporek, both shareholders in investment firm Brookstone Partners Morocco (BPM), in conflict over ownership of the project, which was announced with much fanfare last summer. BPM acquired rights to the highly ambitious project when it bought developer AM Wind early 2018. Prior to that, however, it was subject to a convoluted series of transactions between companies in which Belmamoun and Toporek had stakes. It is those transactions which form the basis of the current dispute consisting of multiple court cases and counter arguments. In the latest twist, last week Belmamoun accused his former partner of "fraud, breach of trust and squandering of company funds", arguing that Toporek hijacked the project for his own ends. In reply, Toporek resigned as director of BPM, accusing Belmamoun of "acts of abuse of corporate assets, misappropriation and fraudulent use of the company’s funds contrary to its interest and corporate purpose and solely for the benefit of Mr. Belmamoun and his relatives". While the two partners battle it out, it seems highly unlikely that the project is going to be built any time soon. Blockchain reaction: what's in it for wind?